Siegfried S. Hecker is a professor (research) in the Department of Management Science and Engineering and a senior fellow at the Freeman Spogli Institute for International Studies (FSI). He was co-director of CISAC from 2007-2012. From 1986 to 1997, Dr. Hecker served as the fifth Director of the Los Alamos National Laboratory. Dr. Hecker is an internationally recognized expert in plutonium science, global threat reduction, and nuclear security. 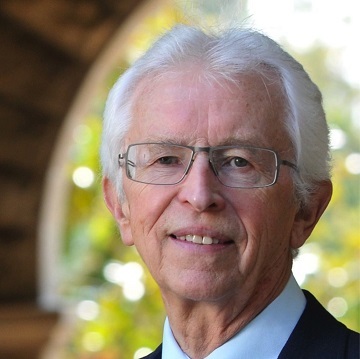 Dr. Hecker’s current research interests include plutonium science, nuclear weapons policy, nuclear security, and the safe and secure expansion of nuclear energy. Over the past 20 years, he has fostered cooperation with the Russian nuclear laboratories to secure and safeguard the vast stockpile of ex-Soviet fissile materials. Dr. Hecker’s research projects at CISAC focus on reducing the risks of nuclear terrorism worldwide and the challenges of nuclear India, North Korea, Pakistan, and the nuclear aspirations of Iran. Dr. Hecker is also compiling and editing a book with two of his Russian colleagues on the history of Russian-U.S. laboratory-to-laboratory cooperation since 1992. Dr. Hecker joined Los Alamos National Laboratory as graduate research assistant and postdoctoral fellow before returning as technical staff member following a tenure at General Motors Research. He led the laboratory's Materials Science and Technology Division and Center for Materials Science before serving as laboratory director from 1986 through 1997, and senior fellow until July 2005. Among his professional distinctions, Dr. Hecker is a member of the National Academy of Engineering; foreign member of the Russian Academy of Sciences; fellow of the TMS, or Minerals, Metallurgy and Materials Society; fellow of the American Society for Metals; fellow of the American Physical Society, honorary member of the American Ceramics Society; and fellow of the American Academy of Arts and Sciences. His achievements have been recognized with the Presidential Enrico Fermi Award, the American Physical Society’s Leo Szilard Prize, the American Nuclear Society's Seaborg Medal, the Department of Energy's E.O. Lawrence Award, the Los Alamos National Laboratory Medal, among other awards including the Alumni Association Gold Medal and the Undergraduate Distinguished Alumni Award from Case Western Reserve University, where he earned his bachelor's, master's, and doctoral degrees in metallurgy.